Every woman wants to have a healthy, glowing skin which belies her age. It is little surprise, therefore, that women always remain on the lookout for beauty tips and secrets. While some prefer to buy over the counter products for skin care, others prefer to go for professional assistance. The bottom line remains the same; everyone wants the best looking skin they can manage. But it is easier said than done. With the kind of stressful and polluted environment we live in, it is very difficult to maintain a naturally glowing skin. The worst possible effect of harmful elements on skin starts becoming evident in the form of fine lines, wrinkles, dullness and age spots. Here are some anti-aging skin care tips that can help you choose the right anti-aging treatment. While some of them can be administered as easily as home remedies, others require professional care. Most OTC anti-aging creams and ointments have a hydrating effect on your skin, smoothening fine lines and wrinkles only temporarily. Anti-aging skin care treatments have active ingredients like peptides, retinoids, anti-oxidants and alpha-hydroxy. You must always check the components of the anti-aging treatment before buying them.OTC anti-aging treatments work on your epidermis layer making their effect temporary. However, there are many surgical and non-surgical anti-aging treatments which can be administered by professionals and work on your dermis layer for more permanent effects. Now there are a plethora of options available for anti-aging treatment in India. The over the counter anti-aging skin care treatment usually has a shorter shelf life and needs to be repeated frequently. Professional cosmetology anti-aging treatments in India can be more expensive but are long lasting and are very effective at reducing fine lines and wrinkles. Botox: – whenever we talk about the most popular anti- ageing treatment in India, Botox surely deserves a mention. It is a wonder treatment for treating fine wrinkles and lines like laugh lines, forehead lines etc. It should be carried out by a certified cosmetologist and when executed properly the results can last for 4- 6 months. Fillers: – as we age, the facial muscles which are responsible for giving contour and shape to the face lose their volume and the face appears sunken and tired. Facial fillers can be injected strategically to give fullness and youthfulness to the face. Cosmetologists and dermatologists prefer fillers where the face has lost extensive amount of muscle due to stress and ageing. Thermage: – it is one of the most sought after anti- ageing treatments in India. This treatment works on the deeper levels of skin causing stimulation of skin cells which produces newer skin cells. These new skin cells replace the old dead cells giving the face a younger appearance. It is considered to be a non surgical facelift procedure. Ultherapy or Ulthera- it is also considered to be a type of a non- surgical face lift. The results are more permanent and only require annual sessions after first few sessions of therapy. Laser treatments: – factional resurfacing of the face can be performed. This procedure can be performed by ablative as well as non- ablative lasers. CO2 lasers and erbium YAG lasers are ablative lasers and are considered to have the maximum efficiency. Their frequency can be adjusted to reach the required depth of the skin layers and maximum benefit can be achieved with the help of these types of lasers. Microdermabrasion: – this procedure involves removal of the topmost layer of skin cells to remove the dead cells. It is a very quick procedure and gives great instant glow to the skin. Chemical peels: – they are a more effective and make the use of peels like glycolic peel and salicylic peels. These chemical peels eliminate all dead cells from the surface. The face instant looks glowing and fresh. This has become one of the most sought- after anti- ageing treatments in Mumbai. Aforementioned procedures should only be performed by a certified cosmetologist or dermatologist in mumbai. 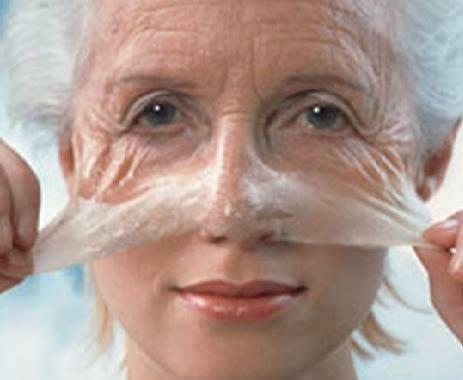 Most anti- ageing treatments stated above are performed in India in all major hospitals. Dr. Rinky Kapoor is one of the best cosmetologists performing anti- ageing treatments in Mumbai, India. She has treated thousands of patients and given them the looks and youthfulness they have always wanted. So, if you want to take anti- ageing treatments in Mumbai, Dr. Rinky Kapoor can surely be the answer to all your queries.